Vinification and aging: Fermentation takes place in stainless steel tanks at a controlled temperature (20-30°C). Spontaneous fermentation due to wild yeasts and a medium-long term maceration of the grape skins. Ageing in French oak barriques for 12 months. Tasting notes: From deep ruby ​​red, the nose is surprising elegance, intensity and a very complex bouquet : l, berries, chocolate, a light note of vanilla, cloves and juniper. The taste is warm and balanced. 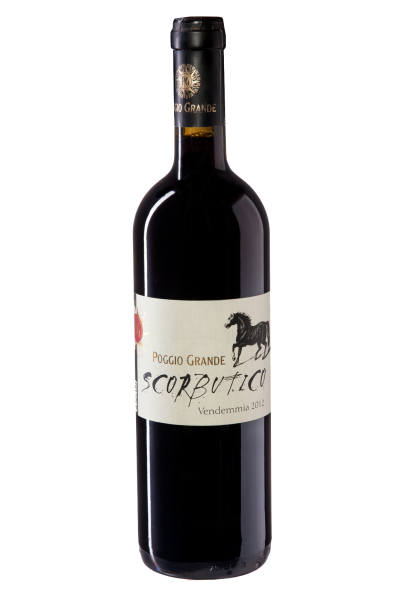 Sapidity, acidity and tannins are balanced by the pleasant softness. Still young, it has in front of it a lot of years of aging in bottle for show its greatness. Serve with: A good combination with typical meat sauces, Tagliatelle or Pici with ragu, crostini with liver patè and beef tartare.